From fine lines and wrinkles to loose skin and unwanted fat deposits, these are common areas of the face and body that most people want to improve. 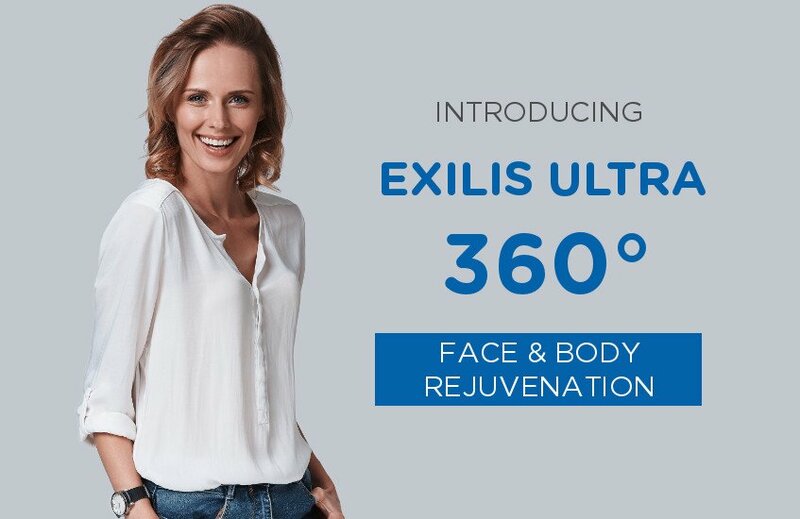 Now you can enhance your appearance from head to toe with the new BTL Exilis Ultra 360. Previously known as Exilis Elite, the latest Exilis Ultra 360 upgrade is the only device that simultaneously uses two popular technologies: ultrasound and radiofrequency. If you’re bothered by saggy skin, the Exilis Ultra 360 offers safe skin tightening benefits without the pain or extensive recovery time associated with surgery. Learn more about the Exilis Ultra 360 and why it can be the treatment of choice for your aging skin. Exilis Ultra 360 is the next generation in skin tightening in Singapore. 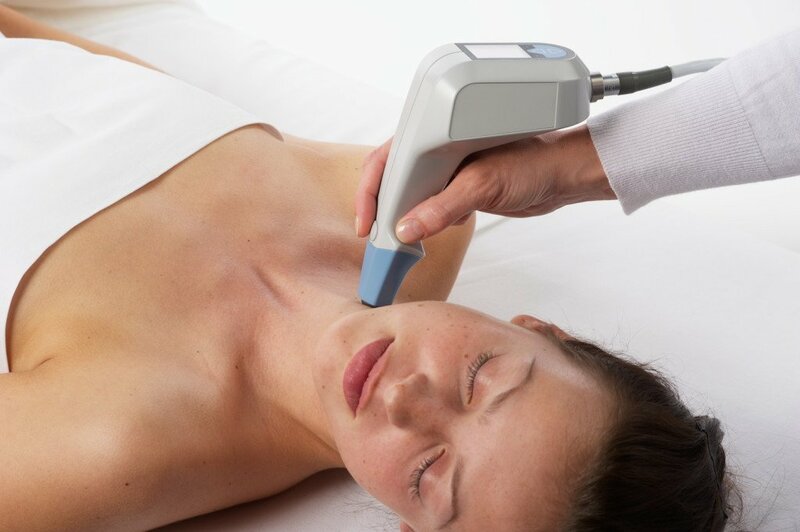 The addition of diffuse (spread out) ultrasound in combination with radiofrequency allows more transmission of energy and greater conductivity of the heat to the target area. This means the treated area heats faster, easier and more effectively that stimulates collagen and elastin to tighten the skin and increases the fat reduction which is efficient for body contouring. Exilis Ultra 360 also comes with two unique applicators – big and small. The big applicator is mostly used on the body as it heats and reduces fat in the deep layer without harming the skin. 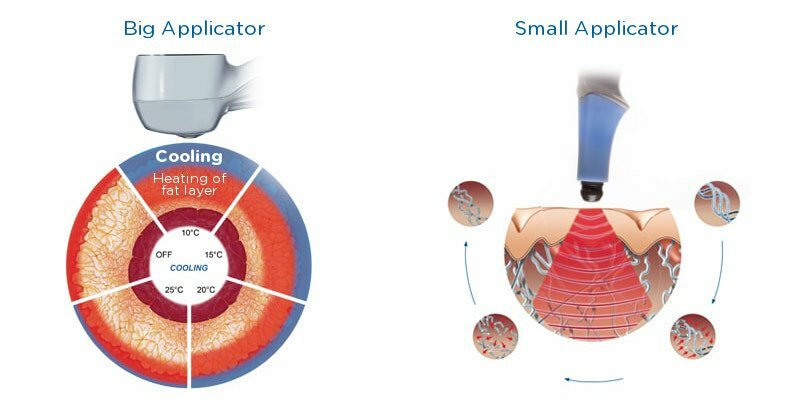 The device works by emitting controlled cooling to the skin and heating energy to varying depths, ranging from the superficial layer of skin to deeper fat layer. The small applicator, on the other hand, has five different tips that can be used interchangeably on more than 20 part of the face and body. Its versatile design also makes it a safe option that provides treatment at comfortable levels. Exilis Ultra 360 is also a safe non-surgical facelift treatment as it stimulates collagen production, resulting in smoother skin without injectables or surgery. Exilis Ultra 360 provides firmer, younger looking skin in almost all areas possible. The most commonly treated areas of the face and body include the eyes, chin, mouth, jaw, décolleté, arms, back, male breasts, abdomen, buttocks, inner and outer thighs, ankles, elbows, and knees. Whether you’re dealing with forehead lines or eye wrinkles, the combination of radiofrequency and ultrasound can help stimulate and strengthen skin and address other body concerns. What Are the Benefits of Exilis Ultra 360? Exilis Ultra 360 has been clinically-tested and proven to target fat deposits, tighten skin, contour tissue, and improve the appearance of skin without downtime or discomfort. Many patients seek this non-invasive procedure to achieve cellulite reduction, wrinkle reduction, the rejuvenation of intimate areas, or skin tightening due to skin laxity. The procedure requires no anesthesia and no pain medications and results in no side effects. You may schedule your appointment during your lunch break and resume your normal activities after. Results from Exilis can typically be seen after at least four treatments. Is Exilis Ultra 360 Safe? Not only is the Exilis Ultra 360 safe, it can also be a comfortable experience. Many clients say that the treatment feels similar to a hot stone massage. No needles or scalpels are used, resulting in no pain. The upgraded device is safe to use as the heat is controllable through the applicator. When the device is not in contact with the skin, it immediately stops delivering energy. If you want to take years off your face or body without surgery or injections, our medical aesthetic doctor and skin specialist in Singapore, Dr. Sylvia Ramirez, can help you achieve a more youthful look safely and effectively. Contact Cutis Laser Clinics in Orchard to schedule an appointment today.